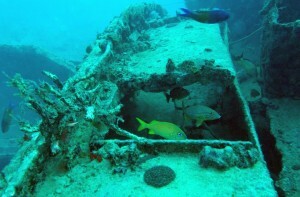 The Gold Cost of South Florida, especially Fort Lauderdale has some of the best wreck diving to be found anywhere. In fact, Fort Lauderdale, Florida was named Top Ten World’s Best Wreck Diving, Marine Life and Value Destination by readers of Scuba Diving Magazine. Broward County has created over 112 offshore artificial reefs including the Wreck of the Jim Atria, a 240′ freighter and the Wreck of the Donald McAllister, a New York Harbor Tug. With so many wrecks to dive here inf Ft. Lauderdale, you can scuba dive a different wreck every day for a month and never dive the same wreck twice! 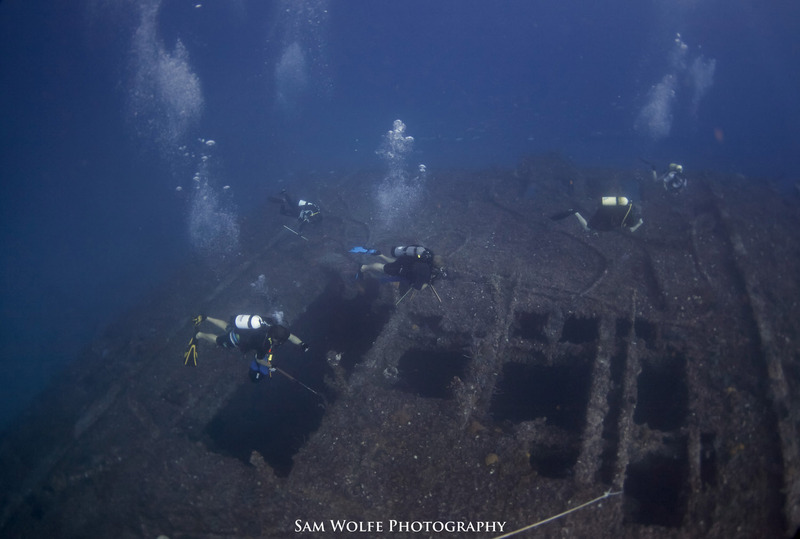 With depths of 20′ to 130′ there is a wreck dive for all dive certification levels and interests. Let the experienced staff at Sea Experience assist you in choosing the wreck dive that best suits your needs. The 197′ Mercedes was sunk March 30, 1985 in Ft. Lauderdale, Florida. As a result of hurricane Andrew and later storms that have hit South Florida, the bow and stern are nearly detached from the rest of the ship and are twisted as much as 45 degrees to starboard. Her bow is to the North East and is tilted up to seaward. 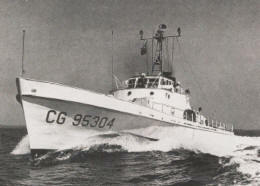 The Captain Dan wreck is an old U.S. Coast Guard buoy tender originally named the “Hollyhock”. She was built in 1937 and during her career not only was she a buoy tender, she also served as an ice breaker in Lake Michigan and a refueling ship for seaplanes in the Bahamas. She eventually came to South Florida and became a Mission ship and renamed “Good News”. She was sunk in February 1990, part of the Rodeo Reef and renamed in memory of Captain Dan Garnsey. 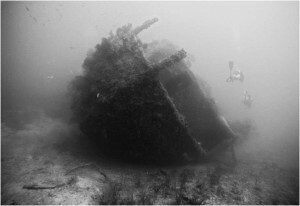 This is a 175′ wreck with prominent superstructure, her bow facing north. The overall depth is 110 feet with the deck at 90 feet and the wheelhouse at 70 feet. This wreck, in a previous life was a U.S. Coast Guard Cutter named the “Cape Gull”. Sunk in 1989, she is upright on the sand with a slight list to starboard. There is a cable connecting the stern to another wreck called the “Wendy Rossheim” which is about 100ft away. The Wreck of the Jim Atria 90ft – 135ft Click here for Video! Jim Atria was a developer, scuba diver, and sport fisherman who lived in Broward County. He assisted in the sinking of this vessel because he wanted to show his appreciation for the surrounding community. The ship, a 240-foot Dutch freighter, was originally named Poinciana and was built in 1961. She was later renamed Jim Atria. 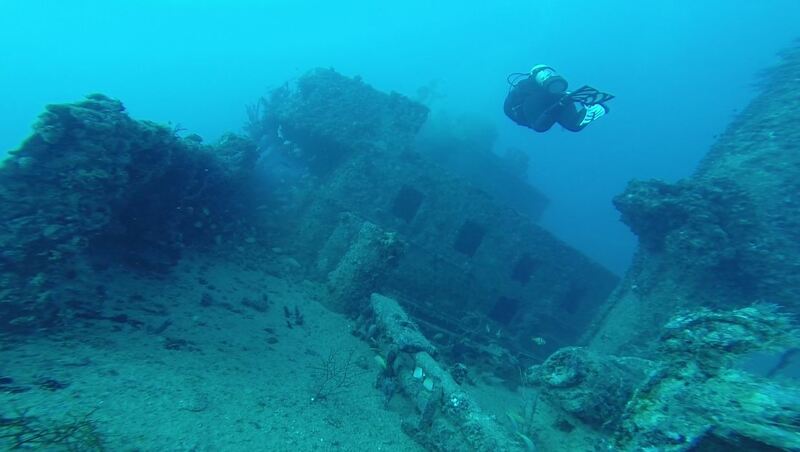 The Wreck of the Jay Scutti 55ft – 70ft Click here for Video! One of two tugs from the McAllister Towing Co. in New York City. Sunk June 23, 1998 as part of the Broward County Artificial Reef Program, this 101-foot former New York harbor boat now lies in 75 feet of water and rises 30 feet off the sea floor. The wreck of the Rebel lies bow north, on a sand and coral debris bottom. The wreck, formerly the Norwegian “Andrea” is 135′ long. At a federal auction, she was purchased by an environmentalist attorney who gave her over to the Broward County Artificial Reef Program. She was renamed Rebel after the buyer’s dog and sunk to create an artificial reef in 1985. 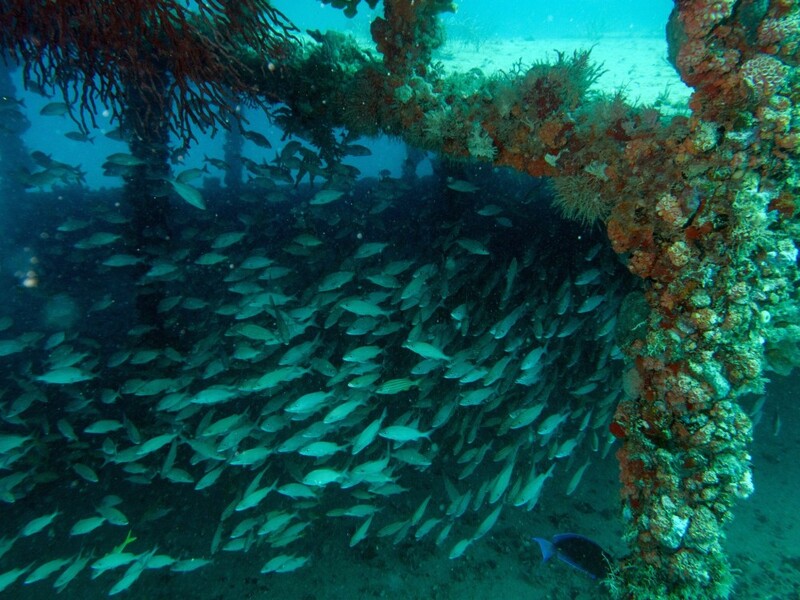 Tenneco Towers, the largest artificial reef in South Florida, was created in 1985 when the Tenneco Oil Company sank five large oil production platforms. The 95-foot long steel hulled sailboat Pride was sunk in November 21, 1987. The Pride is only 100 feet away from the Jay Scutti. This wreck is is attached by a cable to the wreck of the Jay Scutti, so divers can explore both wrecks while using this cable for navigation. The Wreck of the Merci Jesus 45ft – 70ft Click here for Video! Originally named Duzaway, this 70-foot wreck known as the Houseboat, was reefed in 90 feet of water in 1987 to create an artificial reef. 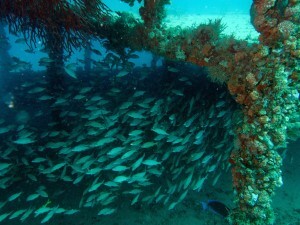 The Wreck of the Miss Dania Beach 60ft – 70ft Click here for Video! 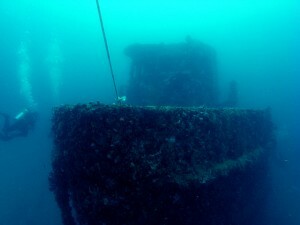 The Miss Dania is a 120-foot Canadian Navel Vessel that was donated by the estate of Robert Derecktor and sunk in 2004 . The fish and marine life are abundant with eels, grunts, corals and sponges just among the things you will see. This ship was a 325′ long steel cargo ship bound for Cuba when running aground in 1900. It is a State Marine Archaeological Preserve since 1994 and has a nice plaque on the south end. It is located on the eastern side of the Pompano Beach Drop-off.